Are you struggling to get leads or convert leads into clients in your business? Do wish prospects would come looking for you instead having to beat the bushes continually? Are you spending too much time with prospects who aren’t your ideal client? Are you getting poor or no results from your online marketing efforts? You’re in good company! 75% of business owners even have a website and about 1% of those that do, have the skills and resources to really make online marketing work for them. 90% of business owners say they plan to use some form of online marketing to build their business, but in a recent survey, 60% of executives admited they don’t have a marketing plan. Creating online content is a the single most important skill of the marketer today – whether your business is strictly online or you have an offline business you are looking to grow with web marketing – you must create and publish content online – and lots of it – to succeed online . Let me explain. Your online lead generation system is only as good as the traffic that fuels it. You have to attract your ideal client to your lead generation landing page before you can capture their interest and their contact information. To attract business from the Web, your ideal client has to be able to find you in search or in the social media sphere. Even more important, you’ve got to position yourself and be seen as a leader and expert in your field. That means publishing online to become an authority in your field is critical to your business success. It’s not enough anymore to put up a static brochure website and expect to be found, or for visitors to take action if they do find you. People buy and do business with people they know like a trust. The web is where your prospects go to search for solutions to their problems and to check out your credibility in your field. When you publish credible information online that your prospects can read to 1) get to know you and 2) solve their problems; you’ve taken that first critical step to engaging your future clients. Your brochure website isn’t going to help you get business anymore. Your prospects need see and hear more of you before they will ever pick up the phone. Today, many people would rather interact with you online first instead of call. When your prospects read your content, watch your videos or listen to your audios, they see you as an expert and feel as if they know you. The content you publish online in a blog, articles and the Social Media sites like Facebook and LinkedIn is what will attract, engage and build relationships with your prospects. Put that content in a system and you will have an automated prospecting machine that will not only save you time, money and effort, it will build your business and income. Most business owners want to be doing their business, not spending hours writing or making videos. Still, in the new Information Age, if you aren’t publishing regularly online you will be left in the dust. So what’s a busy business owner to do? Systematize! As a business owner, even though my business is marketing online, I run into the same issue as every other business owner — lack of time. Content marketing can be time consuming and overwhelming because there are a lot of moving parts, and if you don’t follow certain principles you can waste a lot of time and effort. That’s why I got busy and developed a system that I could use and also model for my clients and students. I’ve created a system that will make it quick and easy to know just what to say, how to say it best for your audience and how to publish it quickly on multiple platforms. Having a blog is great, sharing on 2 or 3 other platforms such as LinkedIn, Facebook, Twitter, YouTube and Instagram is even better — more chance your ideal clients will find you. I’ll post more about the content creation system I created in the next few weeks. Until then, here’s the first tip to becoming a master at creating content in your field… Read. Connect with as many people in your space as you can. Read their stuff, collect it. There are several tools I’ll be telling you about that will help you do this with ease. Tool #1: Use a feed reader. A feed read pulls in content from websites and blogs as set up by you. Start by consuming the blogs of people in your industry that you respect. My current favorite is Feedly.com. Tool #2: Use Evernote to collect and categorize content you want to write about. Evernote has a wonderful feature that lets you “collect” web pages you like and want to read later into notebooks. It’s like a big electronic binder. Once you know your topic and your main keywords, create feeds in your Feedly.com based on your keywords. Then create Evernote notebooks for each topic. When it comes time to write or shoot a video, you’ll have all the material you need. 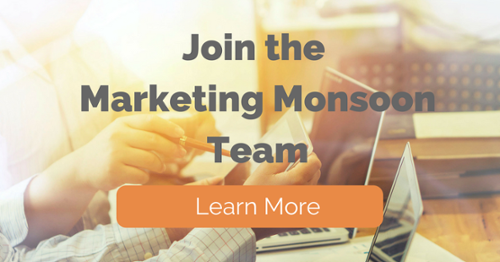 Through Marketing Monsoon she has helped hundreds of business owners to develop automated marketing systems with their website. Ms. Burch has a background in organizational development and leadership development in large healthcare organizations. She is a Graduate Master Business Coach.